Traditionally, winning awards has been a sure-fire way for any good marketing team to reinforce their bank’s strategies, and promote their key USPs in a positive light. Somewhat unsurprisingly, when a bank wants you to see it as innovative, it will promote awards relating to innovation. When customer service is the priority, those awards will come front and centre. All of this was usually expressed via a big traditional media spend. As the value and effectiveness of these methods have been increasingly called into question, the role of awards within marketing collateral decreased, appearing on key sections of the website and mentioned on social media. Today, they appear to have been relegated to the ‘press’ or ‘history’ section of most banks’ websites, and no longer make the cut for an announcement on the secure section of the banking app – space is precious on mobile and perhaps, once customers are logged in, it is felt that they are committed enough to the brand not to require a reminder on how award-winning they are. Below we have drawn together examples of how different banks have used awards to push their offerings. Note that all the examples we have found are desktop only. In an increasingly mobile world, the challenge for providers is to successfully translate the award shorthand to this miniaturised context. Awards feature in the header image promoting their reward of £100 for switching. 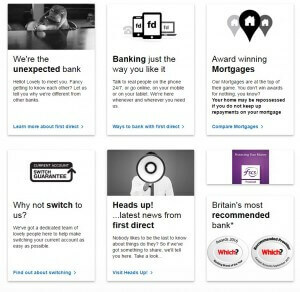 Having recently taken home not one but four Moneywise Customer Service awards (Most Trusted Mortgage Provider, Most Trusted Credit Card provider, Most Trusted Current Account for call centre service and Most trusted Savings accounts for regular savers), it’s not surprising that First Direct are all about the award wins on their desktop site homepage. They refer to themselves as ‘Britain’s most recommended bank’. The credit card provider has branched out into mortgages and is therefore really pushing all the related awards for this particular product. It’s not exactly front and centre but Metrobank’s (redesigned) homepage does feature MoneyWise and Fairer Finance award wins within the footer. 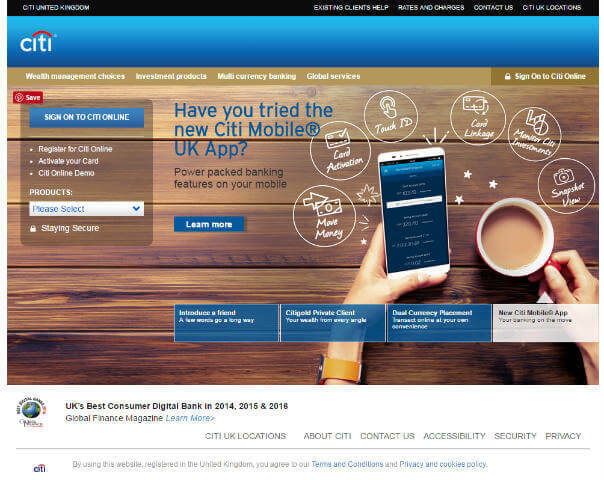 Again, it’s quite subtle, but Citi is promoting the fact that it is the ‘UK’s best consumer digital bank’ for three consecutive years on its homepage. There is also a link to find out more. 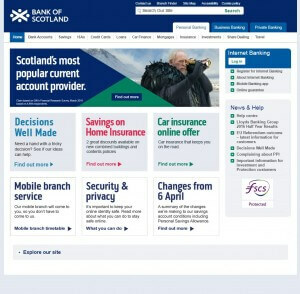 The current banner on the Bank of Scotland homepage refers to the results of a survey rather than an award win, but clicking through to ‘find out more’ explains the features of their various current accounts – not the details of the research. 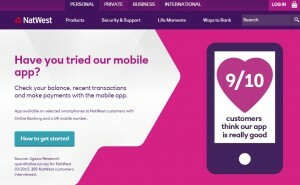 Similarly, the NatWest homepage focuses on the popularity of its mobile app (as shown in our App Adoption report LINK) – not an award win but again the results of a survey they paid for of just 285 customers. 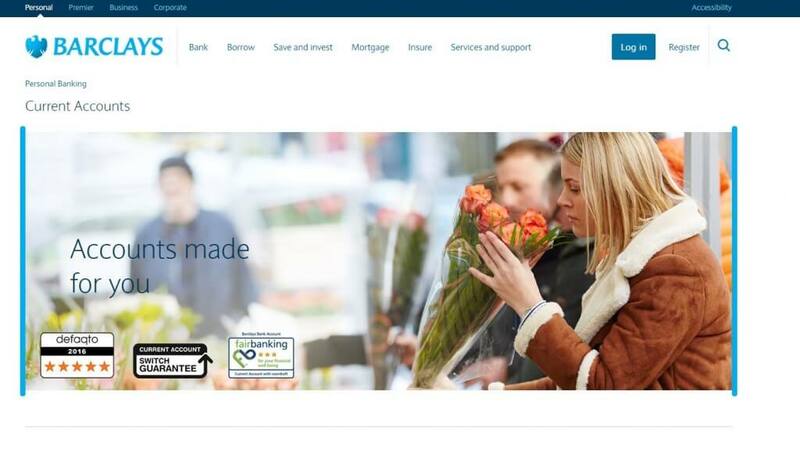 Away from the bright glare of the bank’s homepage, customers looking at current accounts on the Barclays site are faced with the numerous endorsements the bank has amassed in this area. While none is an official award, the five-star ratings play a very similar role – to suggest to customers that the brand has been endorsed by others. 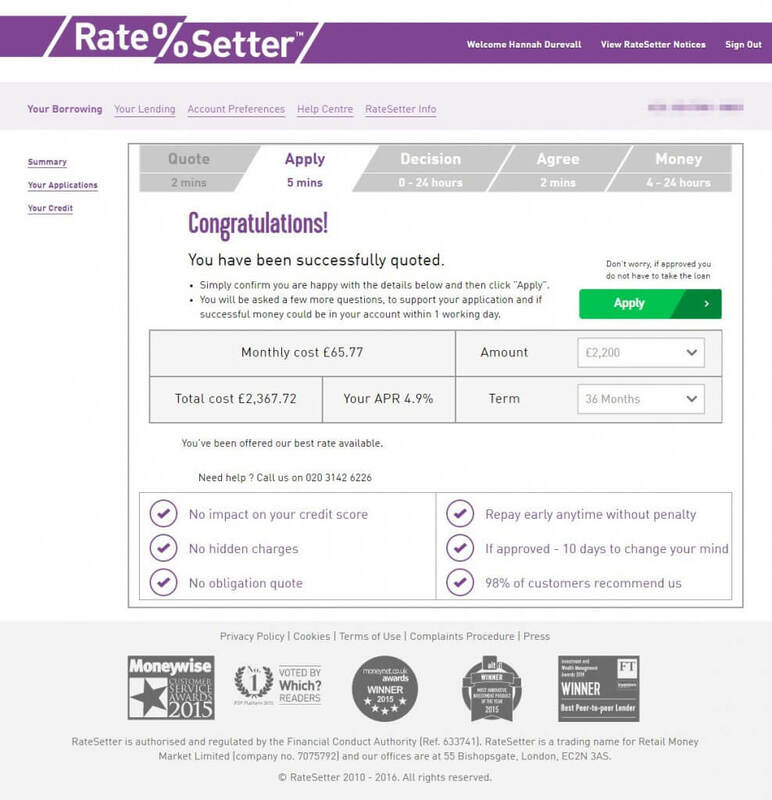 One good example we’ve seen recently with awards being shown throughout an application journey as constant reassurance was with Ratesetter. There are two sets of criteria that customers can use to choose a provider, whether in financial services or elsewhere. And these soft criteria – for example, a fantastic mobile app that genuinely makes your life more efficient – are useful when competition around hard criteria, like interest rates, is trickier. Whilst the hard features are easy to compare and evaluate, the soft ones are less so. Indeed, there is a lot of promise on the positive customer experience that has not yet happened. 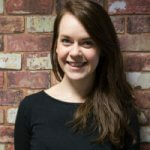 The only way this can be confirmed is by referencing feedback from customers – or industry experts. Despite the explosion of social media as the major source of referencing, awards still have a role to play. Won awards provide an immediate shorthand for ‘customer satisfaction delivered’. Promoting award wins helps satisfy customers that other people have used the ‘product’ (in this case, an account or credit card) and that experts have considered it worthy. Of course, an award carries a bit more kudos than a brand-sponsored survey that doesn’t compare ratings or sentiment between themselves and other brands. Winning awards can also aid retention – people like to feel validated in their choices, particularly ones that involve a lot of research and admin. We think that banks are missing a trick by not reminding existing customers of the awards they win (as challengers like RateSetter are doing). Particularly with new measures coming in from the regulators soon, banks must be focused on retention and reminding customers why they chose a provider in the first place. Aside from new customer marketing and retention, entering awards gives any business a chance to step back and assess how it is performing from a new angle. It’s also a good way to attract and motivate employees. 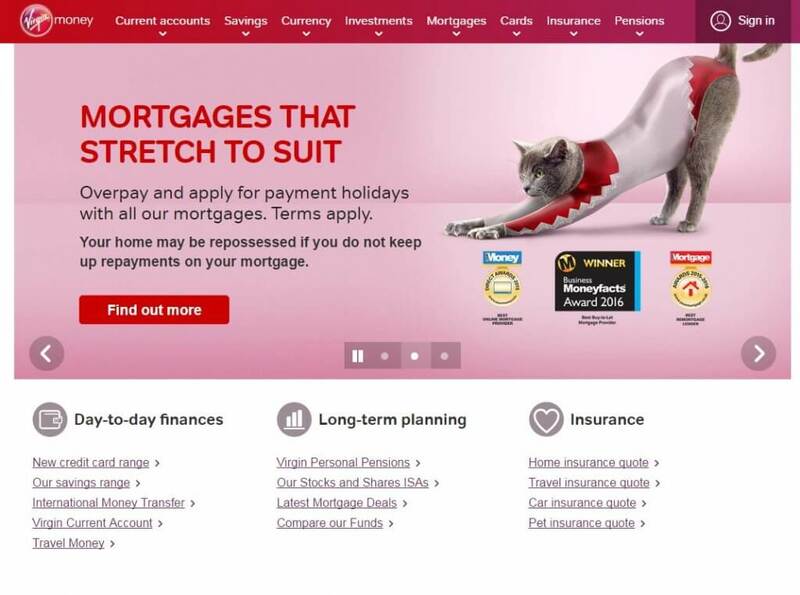 As we can see, few banks are using their website real estate to attract – or reassure – customers with the lure of a medal or trophy. This despite the fact that there have been awards picked up recently –the YourMoney awards (July) and the Money Supermarket Awards (announced in February) recognised quite a long list of banks and credit card providers. As banks work to gain (and regain) the trust of customers, we expect to see more of them promoting award wins – and perhaps making existing customers using banking apps aware of their successes as well.